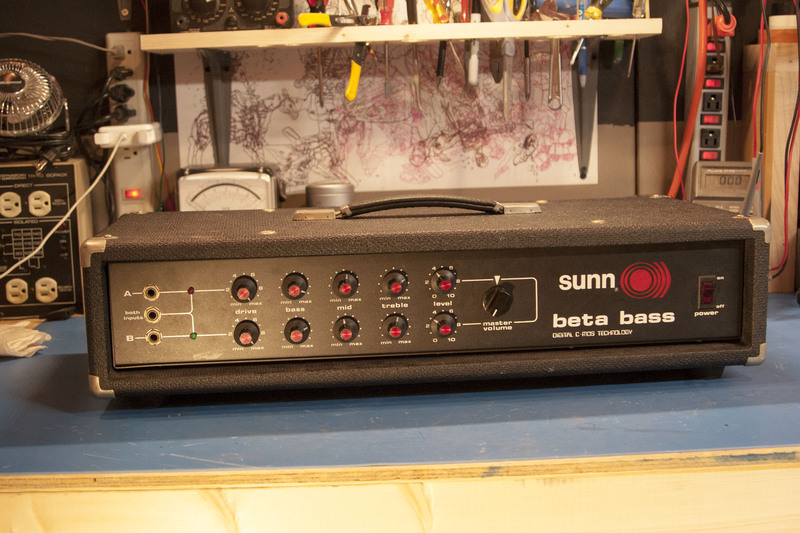 Sunn Beta Bass with the blendable channels and gain and level on each channel, AND a master volume. Output transistors are attached to a big heat sink which also holds the board for the power section. Pretty neat amp. 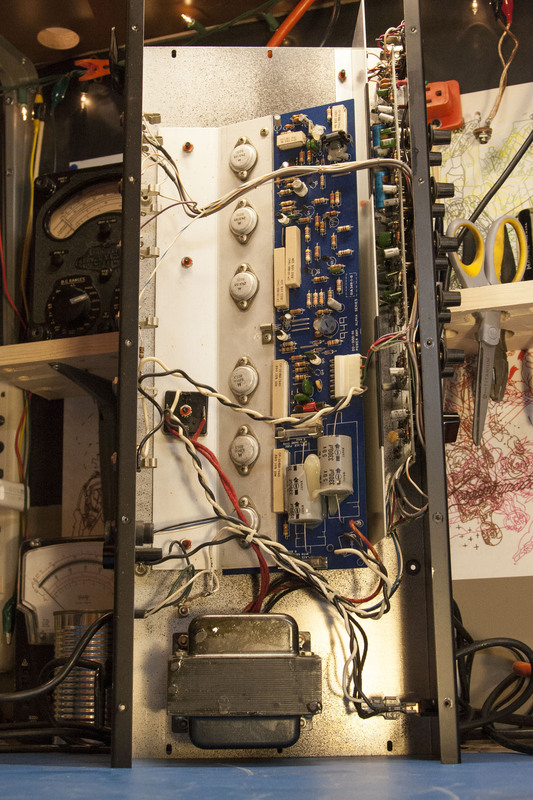 I didn’t get much into it, mostly just cleaning pots and jacks and fixing the blend input jack. If you really have to get into it the Sunn Beta Series Service Manual will tell you pretty much everything you need to know. Read the circuit descriptions.